SANTA FE –The Department of Game and Fish is seeking public comment on proposed revisions to the pronghorn rule. The Department is proposing changes to how pronghorn are hunted in New Mexico, structuring pronghorn hunts similarly to how deer are hunted in the state. This will provide increased opportunity for public and private-land hunters. Albuquerque: 6 to 7:30 p.m. Oct. 12 at the Department of Game and Fish office, 3841 Midway Place, NE. Las Vegas: 6 to 7:30 p.m. Oct. 26 at the New Mexico State Police Office, 520 South Commerce. Roswell: 6 to 7:30 p.m. Nov. 9 at the Department of Game and Fish office, 1912 W. Second St.
Las Cruces: 6 to 7:30 p.m. Nov. 16 at the Department of Game and Fish office, 2715 Northrise Drive. The proposal can be viewed on the Department’s website, www.wildlife.state.nm.us. 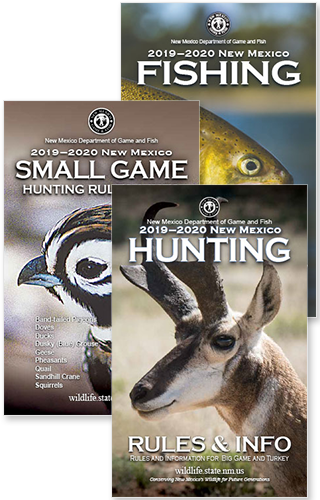 Comments on the proposed changes can be provided by mail: New Mexico Department of Game and Fish, Attn: Nicole Quintana, P.O. Box 25112, Santa Fe, NM 87504; by email, nicole.quintana@state.nm.us; or in person at one of the meetings listed above.